'A great loss to world of Israel law,' says PM Netanyahu after attorney Jacob Weinroth's passing. 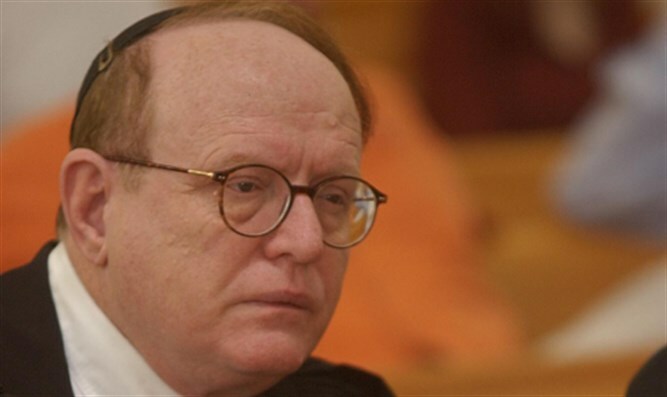 Israeli attorney Jacob Weinroth, one of Israel’s leading lawyers and an attorney for Prime Minister Binyamin Netanyahu, passed away Tuesday at the age of 71 following a battle with cancer. Born in 1947 in Ansbach, Germany, Weinroth and his family made Aliyah to Israel in 1949. An alumnus of Ponovezh and Mir yeshivas, Weinroth was ordained as a rabbi by Rabbi Bezalel Zolti, Rabbi Shmuel Rozovsky, and Rabbi David Povarsky. Weinroth earned his LL.B. and master’s degree in jurisprudence from Tel Aviv University in 1972 and 1974, earning his Ph.D in law from Tel Aviv University in 1982. Widely considered to have been one of Israel’s leading litigators, Weinroth represented a number of high-profile clients including Prime Minister Netanyahu, former President Ezer Weizman, former IDF Chief of Staff Rafael Eitan, as well as the Jewish Underground of the mid-1980s.